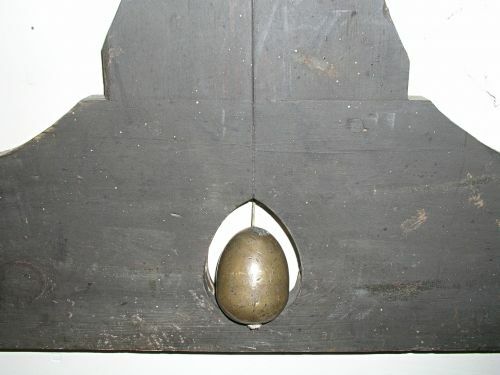 Masonic symbol constructed of 1\" painted pine with beveled edges and brass egg shaped plumb bob. 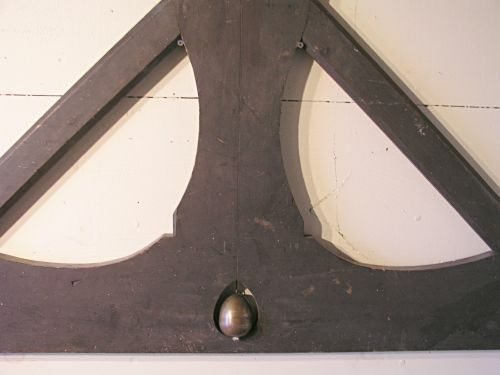 Very sculptural design with old dry dark green painted surface. 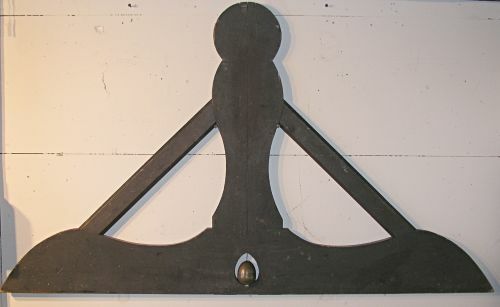 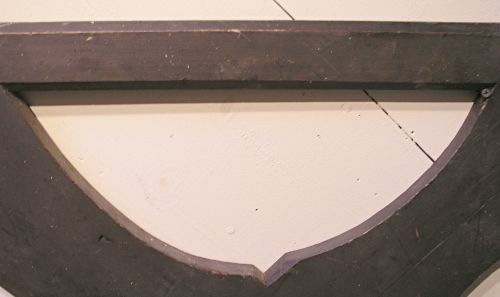 Dimensions: Measures 53 1/2" across bottom by 31" tall by 1" thick.